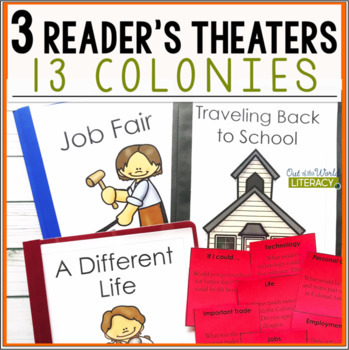 Add these exciting reader's theaters to your Social Studies unit on The 13 Colonies and watch history come to life!!! 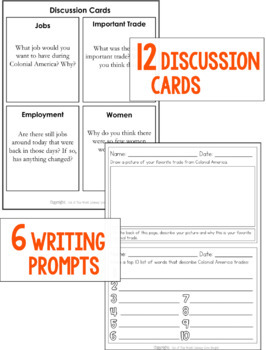 INTEGRATE SOCIAL STUDIES TOPICS INTO READING FOR THE WIN! 1. 3 RT scripts at different ability levels (basic, average, advanced). 2. 6-8 Character roles for each script at varying ability levels. 3. 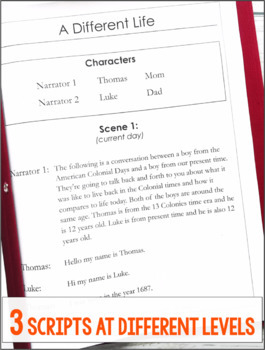 Specific learning topics for each script. 6. 3 T/F pages for before and after the RT performances. NEED LESSONS TO LAUNCH READER'S THEATER? CLICK HERE! I hope you and your students learn a TON and enjoy these reader's theater scripts!